Fresh water and healthy oceans sustain life on earth. The Aotearoa Mentorship Project seeks to find students from among Hawaii's youth and develop them into environmental stewards in order to raise awareness of the critical need to care for these precious resources. The long-term project, in its second year, began in April 2002 and ended in February 2003. Twelve students between 11 and 15 years of age from all islands were selected by their communities. Each student was supported by mentors from their community during the year. Following two intensive weekend retreats, students presented water quality and environmental information to their communities. 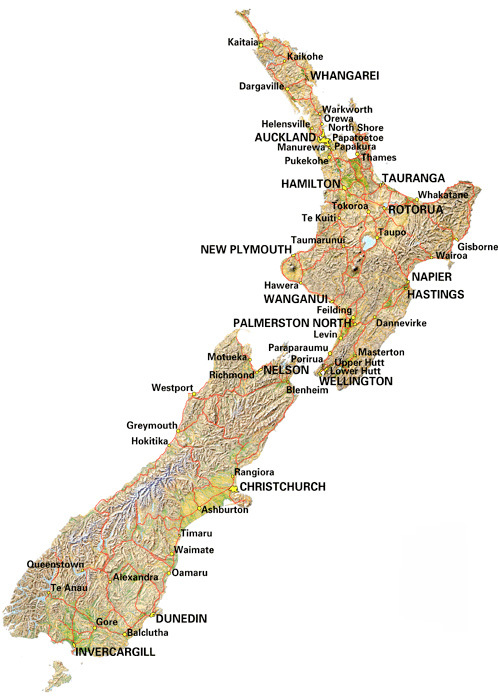 In February 2003, students and staff traveled to Aotearoa, in the North Island of New Zealand, for a seven-day community service, learning, and cultural exchange. Students conducted water-quality testing, stream restoration, marine debris monitoring, as well as other environmental service projects. They also collected data that was shared with their communities and schools via satellite web-link. During these activities, a 120-mile environmental paddle was conducted by the internationally renowned paddler, Nappy Napoleon, and Kai Makana founder, Donna Kahiwa Kahakui, in order to increase environmental awareness of the need to protect streams and oceans. Upon their return to Hawai‘i, students continued to share the results of their work by delivering presentations to their communities. In the spring semester, each student was responsible for conducting his or her own day-long community environmental project. The projects were developed and carried out under Kai Makana, a 501c(3) environmental non-profit. Develop environmental stewards and community leaders from among the intermediate and high school students of Hawai‘i. Raise awareness of the crucial role of streams and oceans in the environment and the acute need to care for them. Increase understanding of the importance of protecting the natural water flow from the mountains to the ocean within an ahupua‘a (land division). Increase students’ knowledge of navigation, archaeology, and water-quality testing methods. Strengthen and share cultural protocol among Aotearoa and Hawai‘i youth. Compare the practice of water-quality testing between Aotearoa and Hawai‘i youth. Inspire students to become environmental mentors to younger students in their community. Have students produce a video documentary of work done on Aotearoa project. Have each student develop and complete a community service project. Have each student develop and present a written and visual report of the Aotearoa project. Must be between the ages of 11 and 15. Must have a minimum GPA of 2.5. Agree to be chosen by their community as a representative of their area. Attend after-school classes located at the University of Hawai‘i's Center for Hawaiian Studies in Manoa for two hours, once a week beginning in June 2002 until departure to Aotearoa in January, 2003 (Requirement for O‘ahu students only). Participate in at least three (3) environmental projects with Kai Makana during the 2002 year. These projects will be conducted on weekends. Attend 3 weekend retreats, including one on Kaho‘olawe. Learn water-quality testing and stream restoration techniques. Learn chant, hula, language, and mele (song) as well as attend training retreats on O‘ahu. Present water quality demonstrations to schools and organizations within their community prior to Aotearoa trip. Continue to communicate with selected schools and organizations during trip via web-link. Visit schools and communities to present findings from project upon return. Conduct own community environmental project during the spring semester. Fulfill all school requirements prior to, during, and upon return from Aotearoa trip. Conduct themselves as representatives of their community and their mentors at all times. Selects student and matches half of the yearlong program costs. The total cost for this yearlong project is $5,000. Therefore, the communities are responsible for raising $2,500. The total amount is due by Monday, September 30, 2002. Provides mentors in order to help student fulfill project requirements before, during, and after Aotearoa trip, including environmental awareness project during spring semester of 2003. Plans and participates in Hawaiian protocol before and after trip. Mentors must be willing to form a long-term relationship with student. Kai Makana encourages educating and sharing with as many students as possible. A community may have more than one student who they believe can fulfill the requirements and who will benefit from the experience. Therefore, each community can register a maximum of 5 students to attend this program. However, only one student from each community will be accepted to participate in Aotearoa trip. Finally, it will be the community that decides who will represent them.